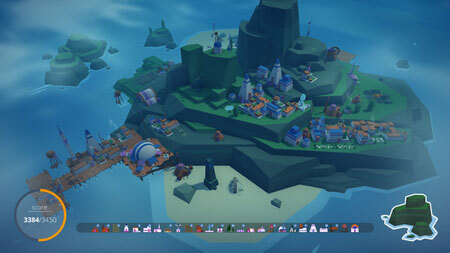 ISLANDERS is a minimalist strategy game about building cities on colorful islands, developed by GrizzlyGames. Explore an infinite number of ever-changing new lands, expand your settlements from sprawling villages to vast cities and enjoy the relaxing atmosphere. You start with a set of buildings in your inventory that you can place on your island. Placing buildings is rewarded with points. The amount of points you get depends on what surrounds the buildings when you place them. Gather enough points to refill your inventory and unlock new buildings. Once your city is big enough you may choose to travel to the next island. If you run out of buildings the game ends. If you get stuck in the game, check out the video walkthrough and gameplay for the game. This entry was posted in PC Games, Walkthrough and tagged ISLANDERS Cheats, ISLANDERS Gameplay, ISLANDERS Guide, ISLANDERS Strategy, ISLANDERS Walkthrough by Marvin. Bookmark the permalink.